He was born in a family of soldiers in Kapustin – Yar district of Vladimir region of Hashtarkhan province on the 29th of August, 1960. The family moved to Baki in 1964. Chingiz entered Azerbaijani Medical Institute after finishing school # 167 in Yasamal district in 1977. After graduating for the Institute in 1983, he was sent to Davachi region where he worked for three years. Later, he came back to Baki. In spite of being a doctor, Chingiiz loved the profession of journalist very much. It became more obvious after the January events in 1990. He shot the terror, massacre and the tragedy of the events caused by Soviet Army with all the details. Thus, since 1991, he started working as a journalist. Chingiz Mustafayev became an employee of Azerbaijani Television and Radio Programs Company and was also one of the establishers of a studio called “215 KL”. In a very short period of time Chingiz attracted all the attention of wide audience by the news and reports he was bringing from the battle zones. The ugly truth about the Khojali tragedy shot by him and the terror and of the horrified events shook the world. Moreover, he was able to break the information blockade and show Azerbaijani truth to every part of our planet. The brave journalist was facing death every day. June the 13th… 1992…he was leaving Baki for the last time. He heroically died while shooting and making the reports about the bloody battle that was taking place in Nakhchivanik village on the 15th of June. 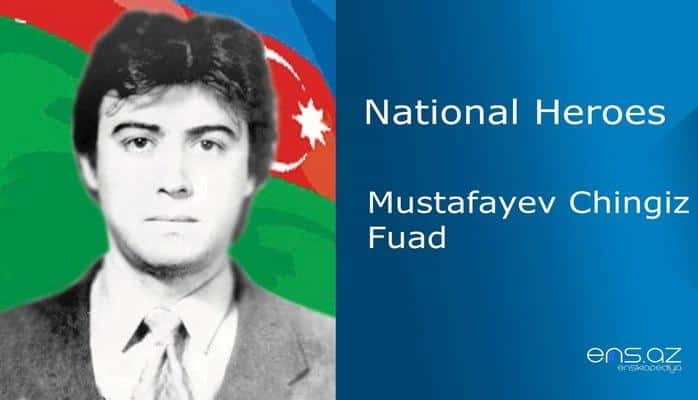 Mustafayev Chingiz Fuad was posthumously awarded the title of the “National Hero of Azerbaijan” by the decree # 294 of the president of Azerbaijan on the 6th of November, 1992. He was buried in the Alley of Martyrs in Baki city. The Recreation Area of MIA in Shuvalan district, one of the streets in Baki city, Radio station ANS ÇM, and one of Azerbaijani ships is named after the hero. His bas relief was put in front of the building where he used to live. And there is also a bust of him in Memorial Complex in Military Lyceum after J. Nakhchivanski.